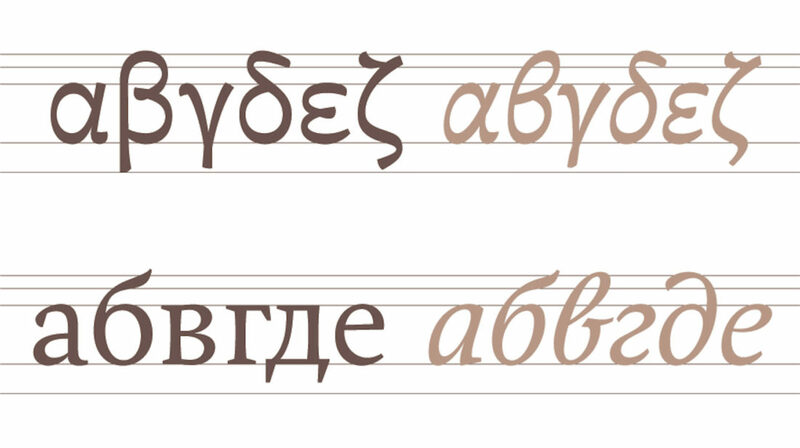 Colvert is comprised of four families: Colvert Arabic, Colvert Cyrillic, Colvert Greek and Colvert Latin. These four type families can be used alone, or blended with one another, in an harmonious way. Each family has been made by a designer native speaker of the concerned writing system. This character has been envisioned as a peculiar approach to the question of the relationship between different writing systems. Each of the four families that make up Colvert is as visually differentiated as possible. We have tried to establish a minimum optical continuity and not to seek homogeneity between these type families, so each one can express at the best its own characteristics. 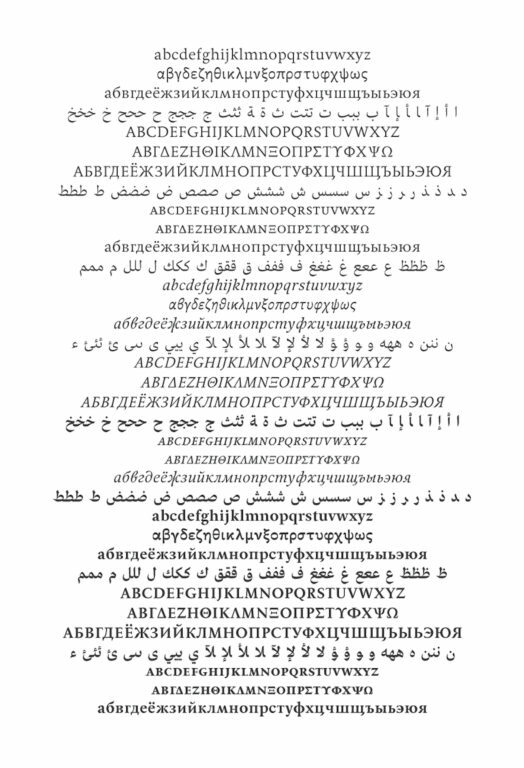 Colvert includes all that seems to us necessary for the professional use of a publishing typeface for print: extended support for languages (more than 100 languages), small capitals (Cyrillic, Greek and Latin), oldstyle figures, polytonic Greek and Arabic ligatures.